Rothco's Arctic Fleece Tactical Cap & Helmet Liner is a lightweight skull cap with ear flaps. 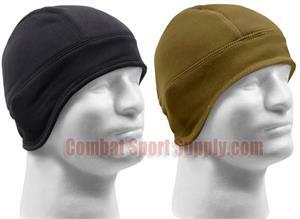 Wear this 95% polyester, 5% spandex tactical cap under your helmet or as is. One size fits most. Keep your head warm, keep your body warm.